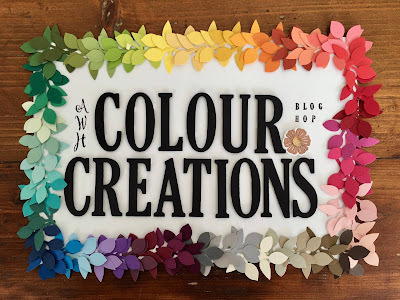 Here we are at week 33 of the Colour Creation- with another green Old Olive as you all know green is my favourite colour so this was an easy one for me. I used the New Wonderful Romance bundle from the 2019 Occasion Catalogue (Page 11) this is such a beautiful set. I started with an Old Olive card base and very vanilla for the top layer. 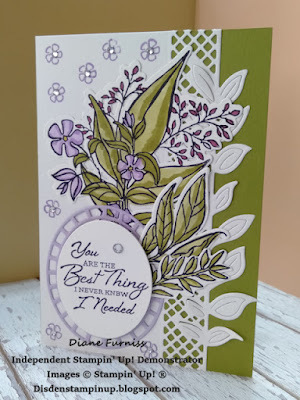 I stamped my floral arrangement using the Memento Ink and then coloured in the leaved and flowers using my blender pens, in Old Olive and Highland Heather. 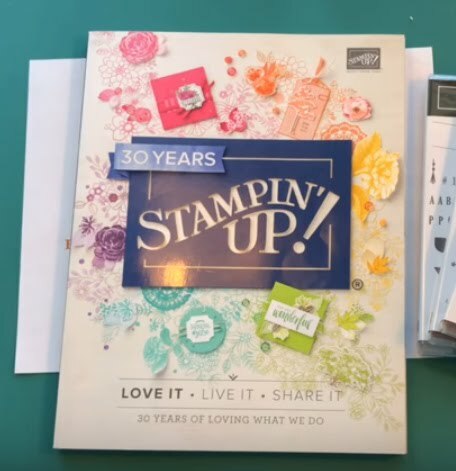 I also stamped and coloured 2 other leaves from the same set. I ran these through the Big Shot using the coordinating dies along with the oval for the sentiment. I also ran the Very Vanilla layer of card through the Big Shot to cut out the trellis and leaves. I mounted all of this onto my card base then stamped the tiny flowers in the Highland Heather to finish it off. I mounted my sentiment onto dimensionals before adhering this to the front of the card. I place the smallest gem stones in the centre of the small flowers and one large stone on the sentiment to give finish off I also added Wink of Stella to the flowers in the large arrangement. 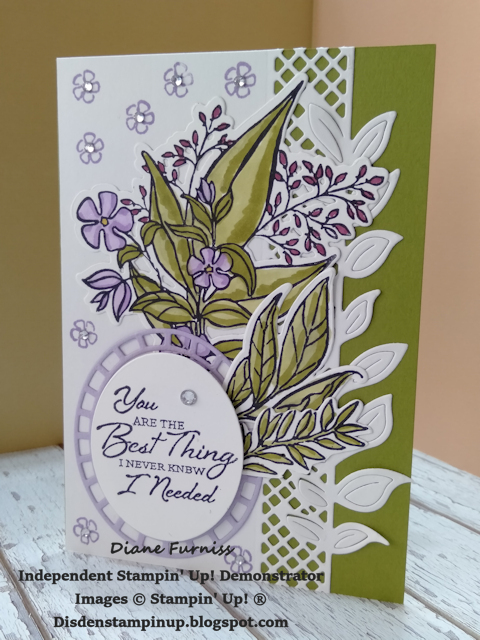 This is such a lovely card and I was really pleased with the way it turned out. I finished off the insert with a few leaved and little flowers but I didn't colour them in. I hope you have enjoyed your Australia Day Long Weekend. I hope to see you back here again next week. 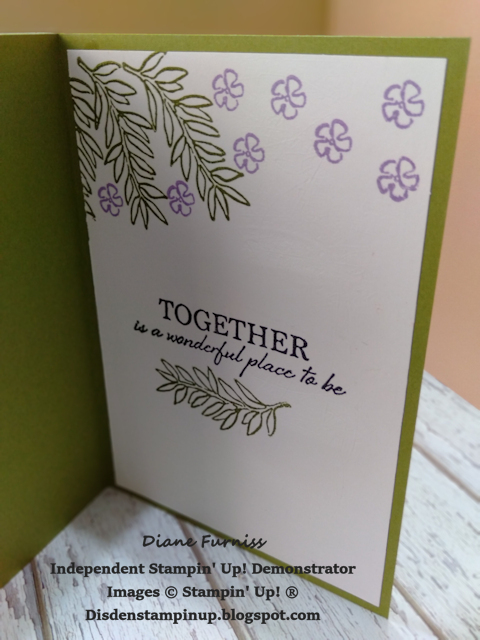 Diane your colour combination are card are both so lovely. Thank you for hopping along tonight! Great card, Di, and I agree, it is such a beautiful set! Your card is so pretty! 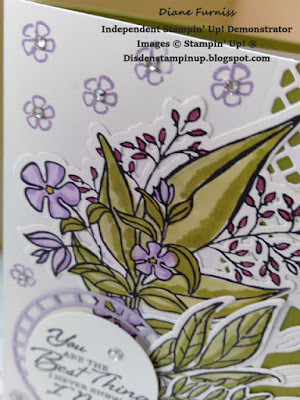 The trellis die is a lovely background for the bunch of flowers, which you've coloured so well.